What is the right temperature for wine? Depends on if the wine is red, white, sparkling or dessert. 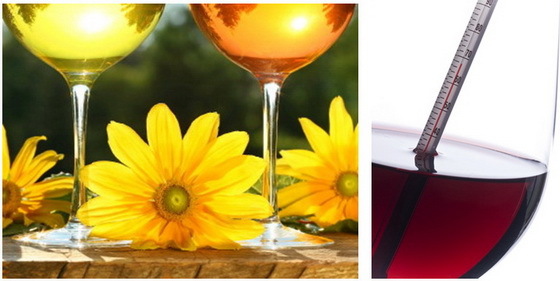 However, all wine is often served at the wrong temperature, with red wines too warm and white wines too cold. Too cold, a nd a wine’s complexity and aromas are numbed; too warm, and it tastes alcoholic, flabby and astringent (that mouth-drying feeling we get from walnuts). The old advice about serving reds at “room temperature” comes from the days when the “room” was a drafty medieval castle of about 18 degrees Celsius (64.4° Farenheit), not today’s toasty, centrally heated homes where the average temperature is 23 degrees Celsius (73.4 degrees Farenheit). Red wine should be served at about 18° C (64.4° F), though some light reds, such as pinot noir, beaujolais and barbera, as well as simple, inexpensive reds, are better served cooler, at 15 degrees (59° F). The more complex the red wine, the more it should be served at the warmer end of this spectrum to help its aromas become airborne. Put a bottle red at room temperature in the fridge for about 15 minutes to give it a light chill. A bucket of ice water also works, as the wine temperature will decrease about 1 degree Celcius (33.8° F) for every two to three minutes it’s submerged. Consider this your license to chill. 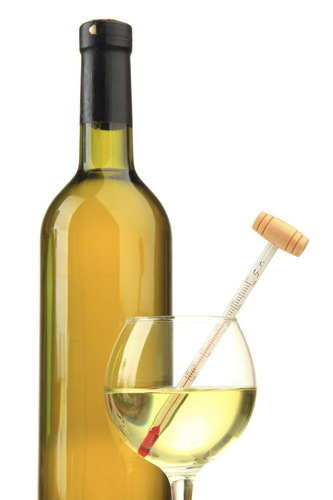 White wine should be chilled to about 10 degrees C (50° F); the glass should feel cool but not ice-cold. 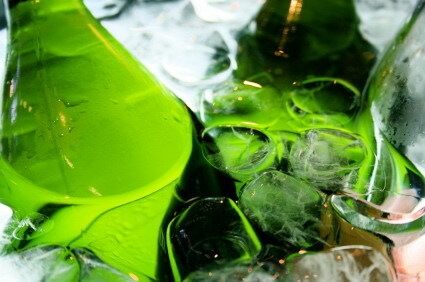 Tip: if your bottle or glass mists over with condensation, it’s too cold. Take white wine out of the fridge for about 15 minutes before serving it. More complex whites, especially those with oak-aging, should be served at the warmer end of this spectrum to release their aromas and flavours. We serve dessert wines chilled because it lowers our perception of their sweetness, making them taste less cloying, while increasing the perception their fruit freshness and acidity. Sparkling wines serving too warm become flat. However, opening a warm or room temperature bottle of sparkling wine will result in the fizz spraying everywhere. I know. I did it. Twice. 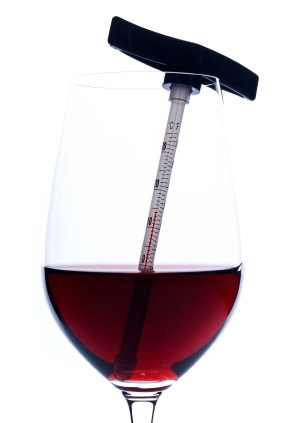 Read more about wine temperatures here. When in doubt, check the label: many bottles indicate the optimal serving temperature.